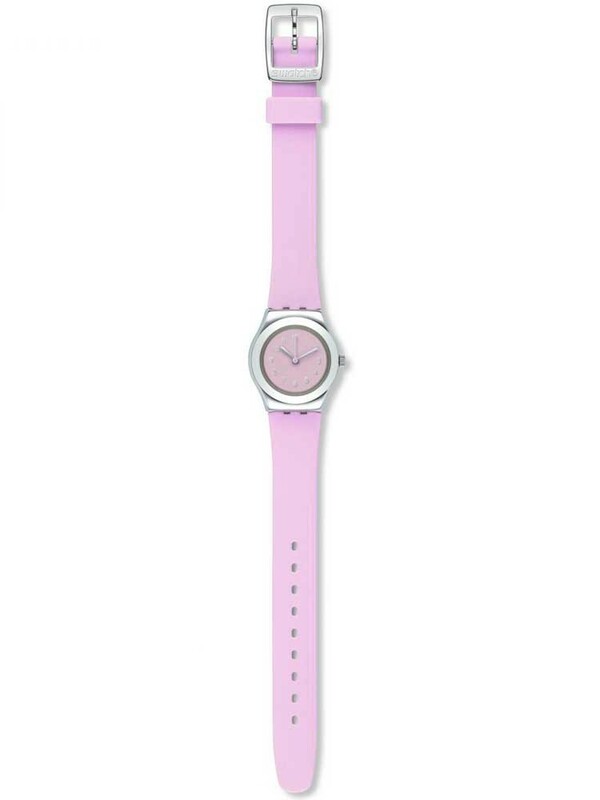 This pink timepiece from Swatch is the perfect way to add a colourful finishing touch to your outfits. 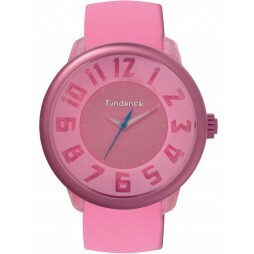 A polished stainless steel case is presented on a pink silicone strap hosting a traditional buckle clasp, accompanied by a sturdy plastic dome protecting the dial. 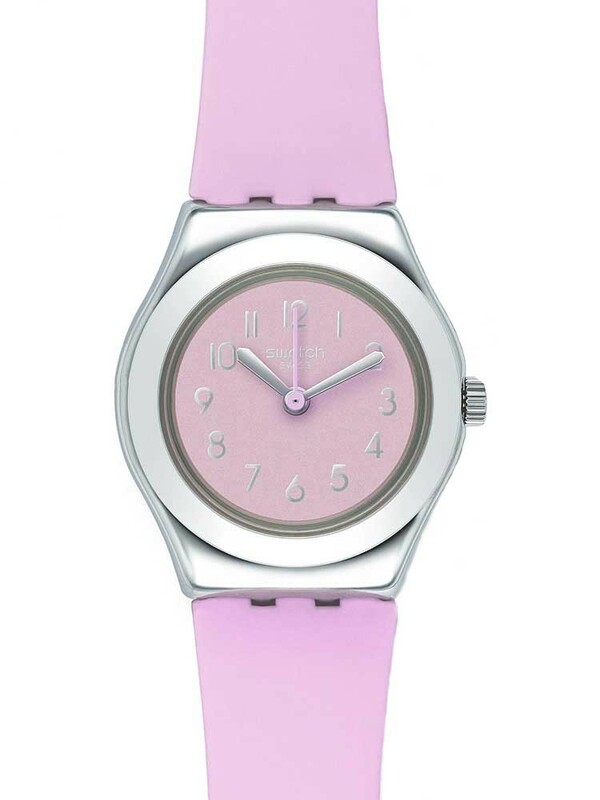 A series of silver tone numerals have been applied to the pink backdrop, alongside a pair of matching silver tone hour and minute hands and a distinctive pink second’s hand. 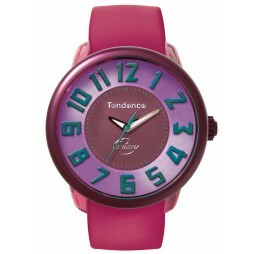 Movement in this piece is generated by an accurate quartz movement and a water resistance of 30 metres offers peace of mind, as well as an impressive final attribute.